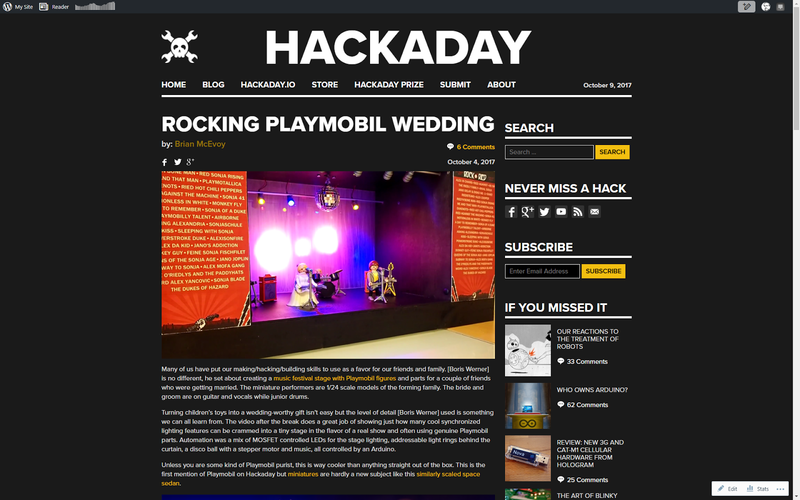 Writing for Hackaday has been a wonderful experience. The people there are just as incredible as I had hoped they would be. 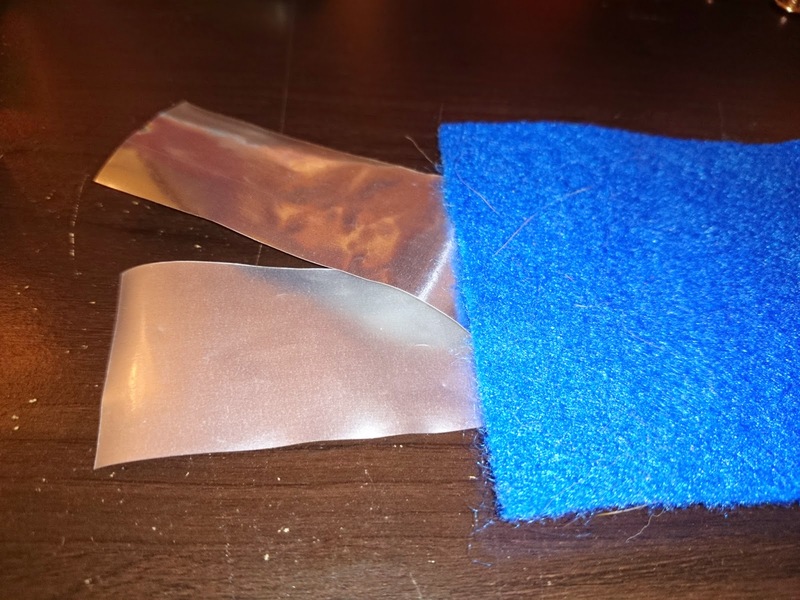 Originally, I had planned to make a journal entry each time I wrote an article for Hackaday but I have been writing so much for them that it would quickly overrun this blog. Instead, I am going to use a single day to recap all the articles I’ve written during the week. 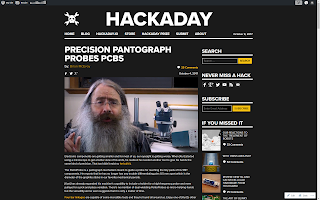 This will be similar to the weekly summary but it will be a different day and be solely dedicated to Hackaday writing. So, welcome to the first summary. I’ve written more than fifteen articles to date, which is a good start. Most weeks there should only be a handful so I’ll cover the ones from the previous week to allow me time to compose each summary. Playmobil toys are modular toy sets which a huge library of things you can buy for them. 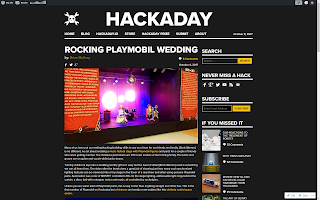 There is a community based around custom Playmobil parts so there must be some die-hards out there. For a wedding gift, a builder made a stage with miniatures of the family-to-be playing and singing. At least, figures are positioned like that’s what they’re doing. 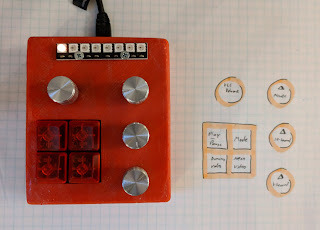 There were a handful of electronics nicely concealed which controlled music and lights to liven up the custom set. 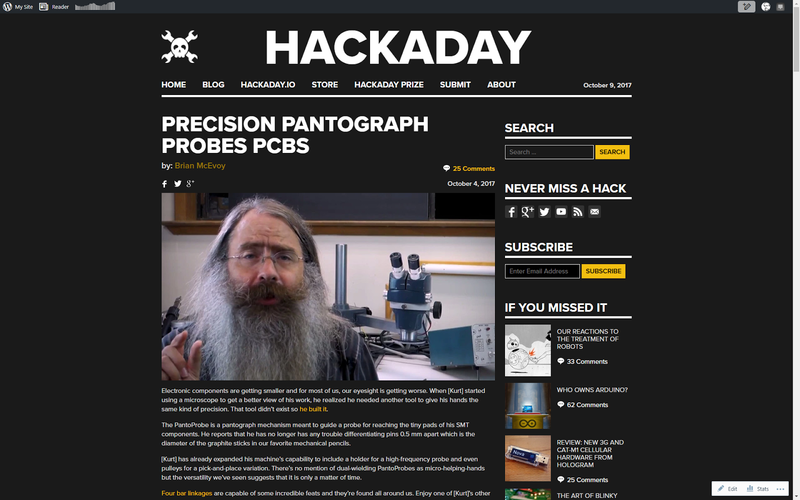 This was my first attempt at original content for Hackaday. 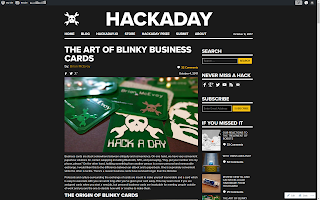 It was a full-length article dedicated to talking about the business cards I had been making here. It was nice to write something longer than a blog and shorter than a story. A pantograph multiplies movement by any fraction. This can factor movement up or down. In this project, hand movement was scaled down to allow very controlled movements while probing a PCB but many small tasks could be done with this four-bar linkage.